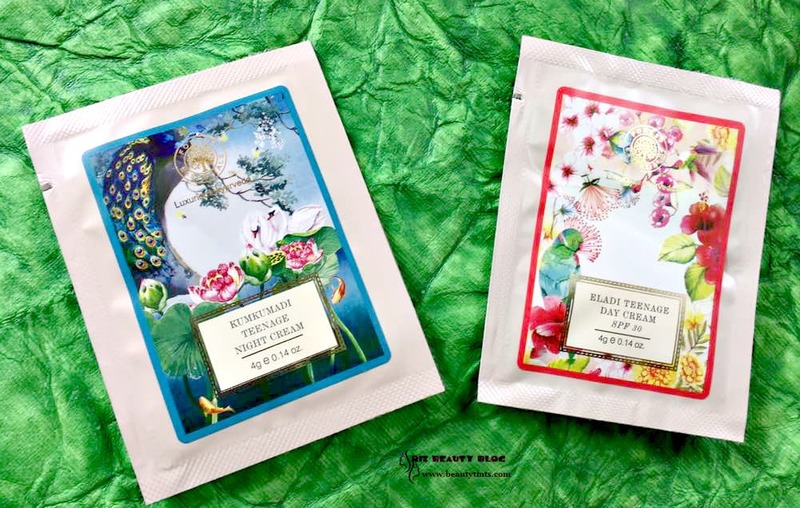 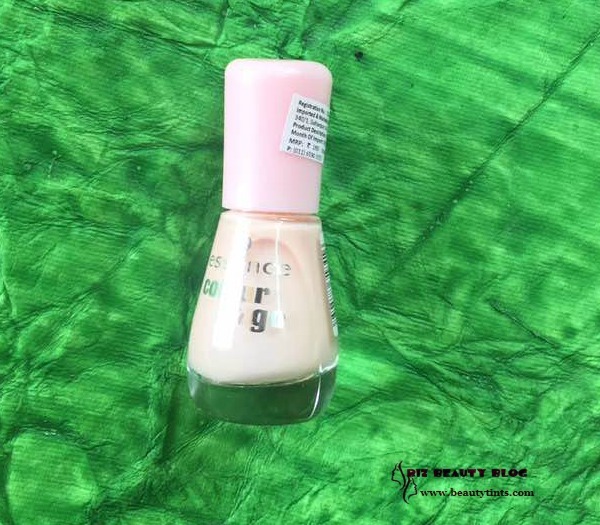 Sriz Beauty Blog: My Envy Box June 2017 Edition Review!!! 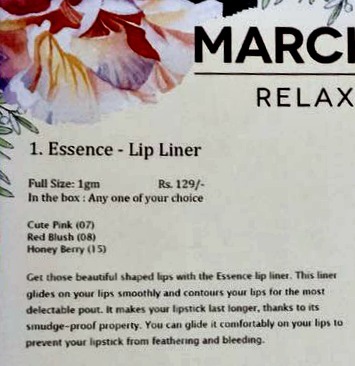 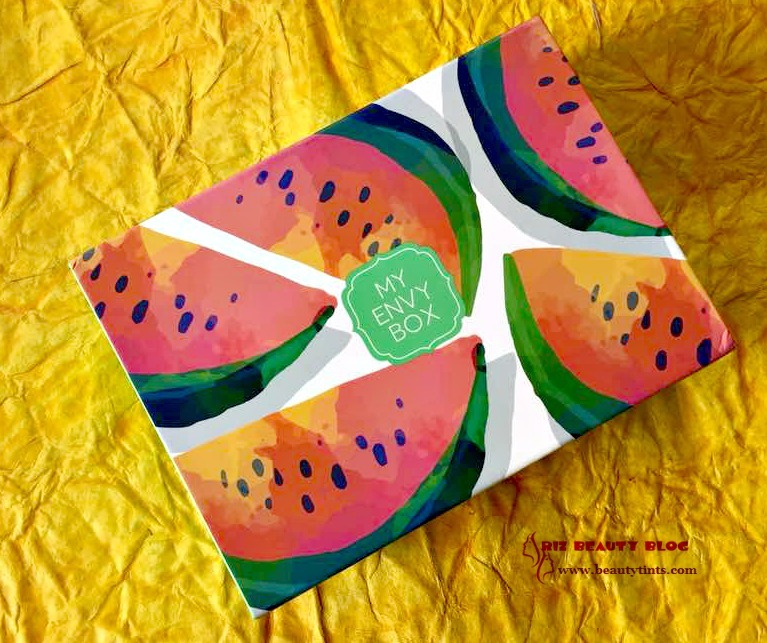 I have been waiting for this month's 'My Envy Box' super eagerly and finally, I received this two days back.Without any delay let's see what's Inside? 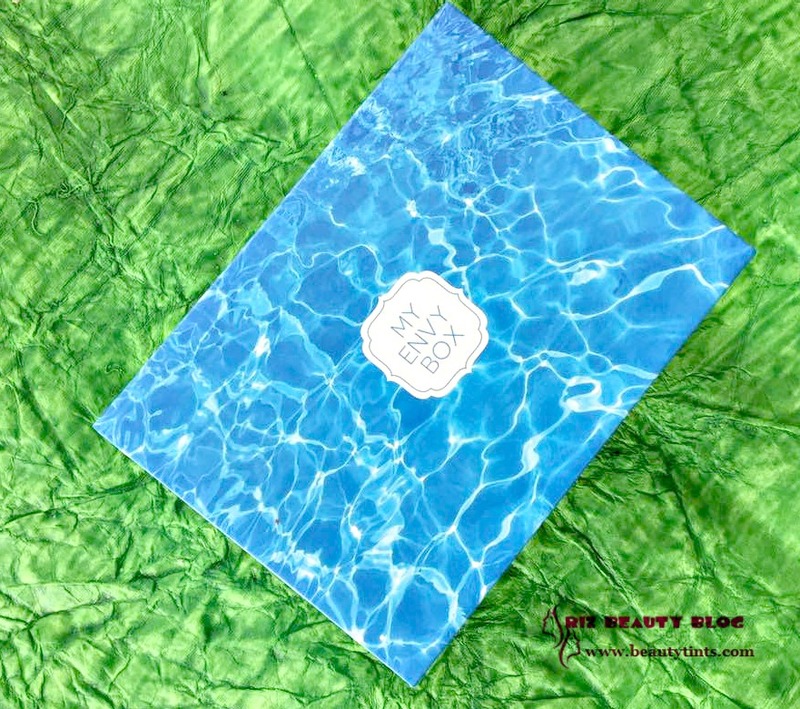 This month's box is blue colored with waves print on it! 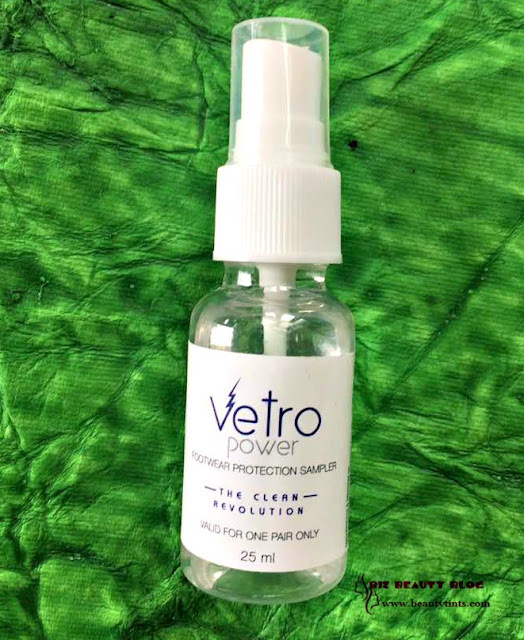 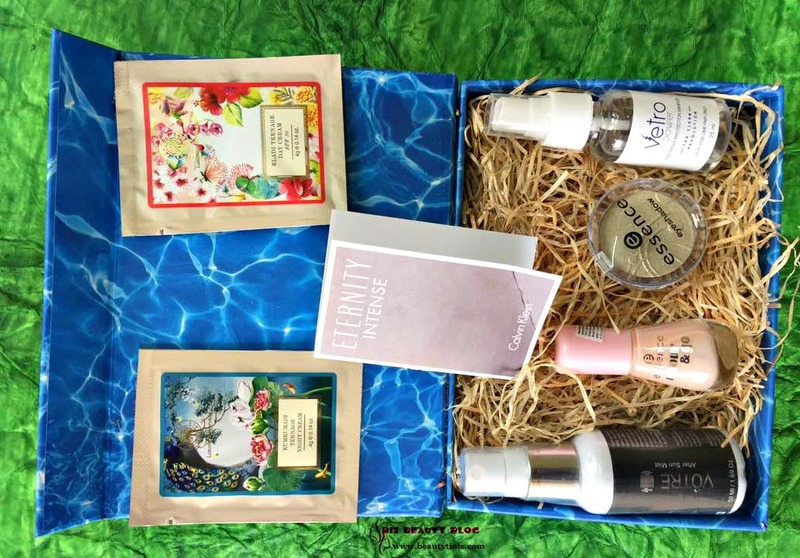 Let's See what I received in this Month's Box in detail : This time I received 6 products of which most are decent sized! 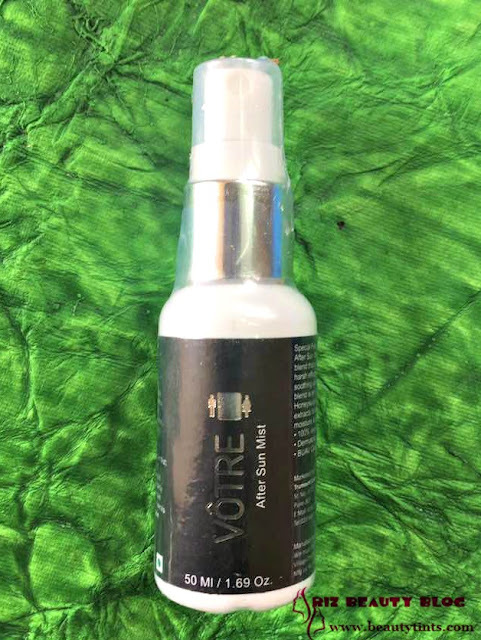 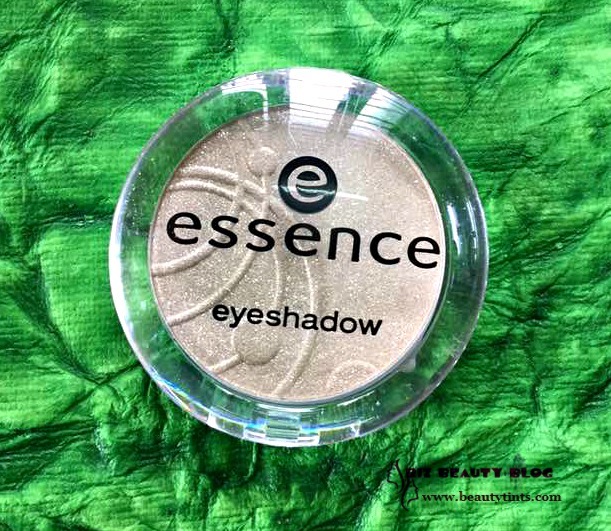 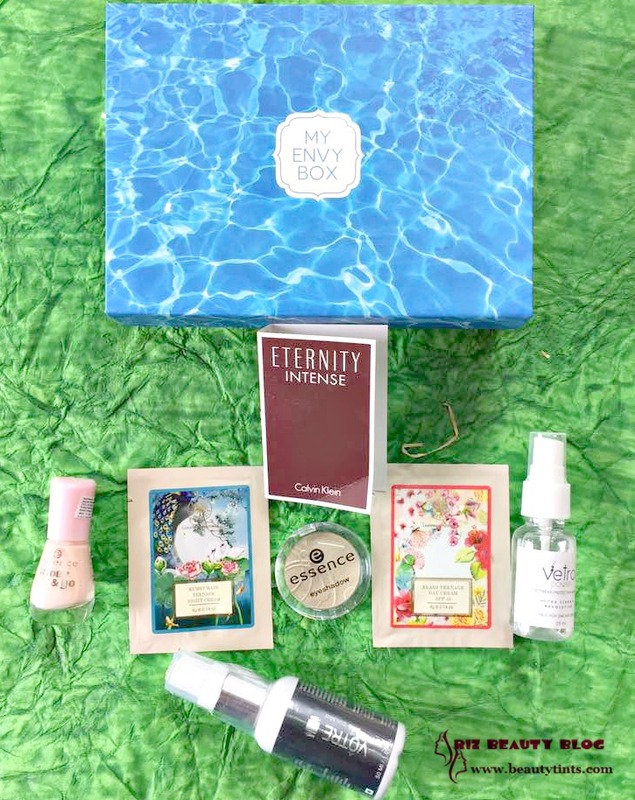 My Envy Box June 2017 Edition Review!! 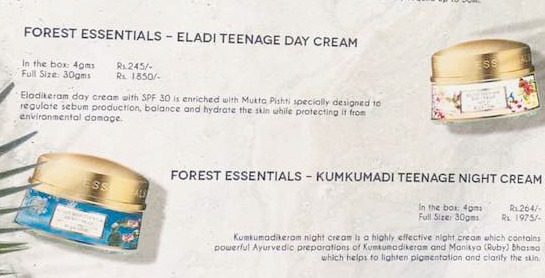 2) Forest Essentials Samples : There is one sample 4 gm each of Forest Essentials Eladi Teenage Day Cream and Kumkumadi Teenage Night Cream. 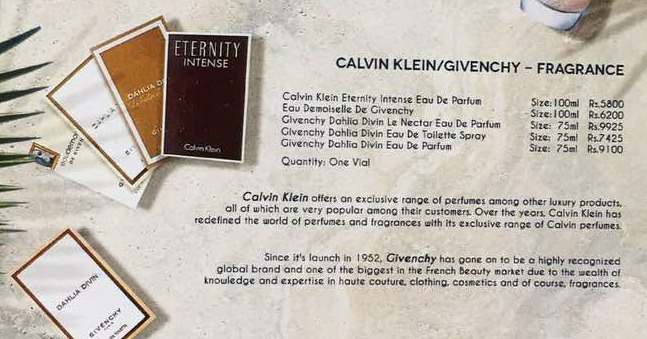 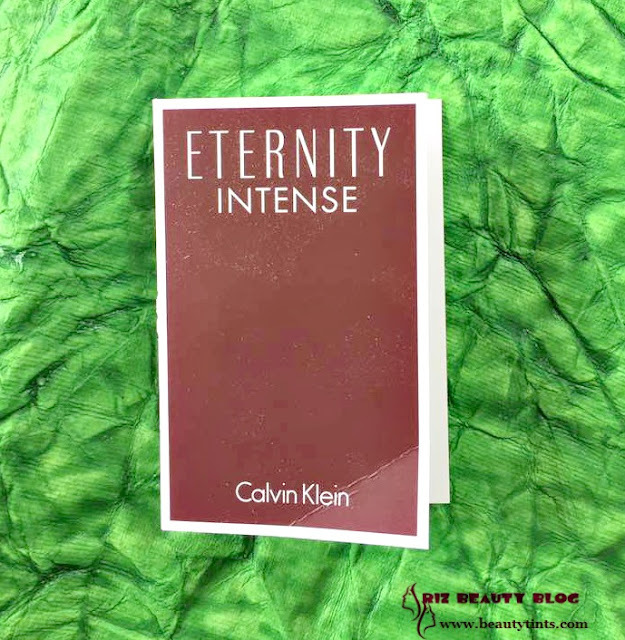 5) Calvin Klein Eternity Intense : There is a perfume vial from Calvin Klein Eternity Intense.I love fragrances so much and love to receive these samples! 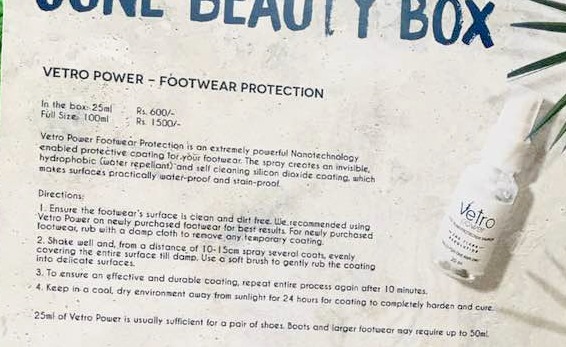 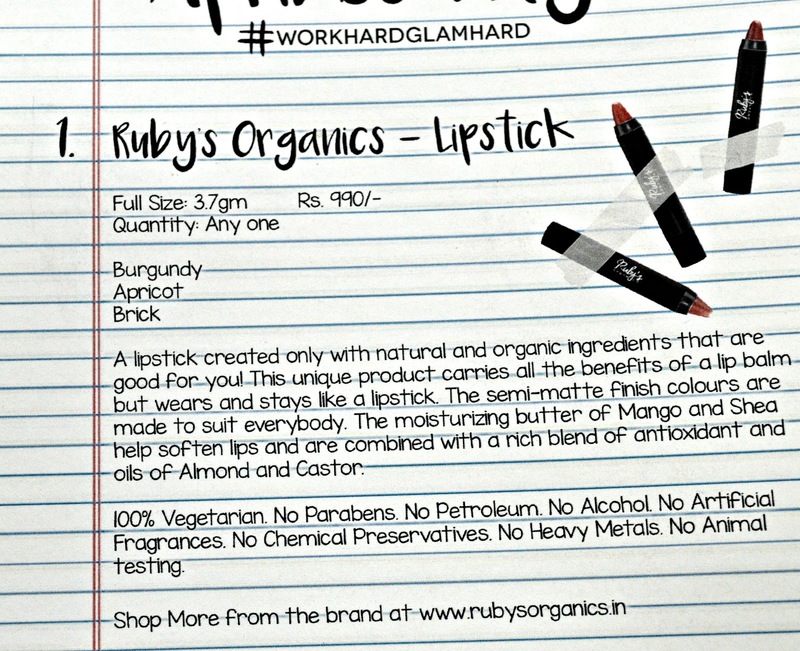 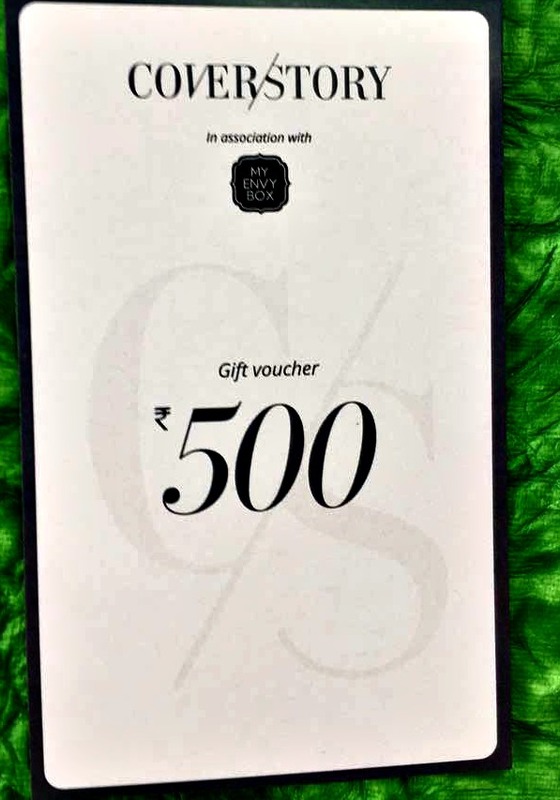 Along with these, there is a Gift voucher of INR 500/- from Cover Story! 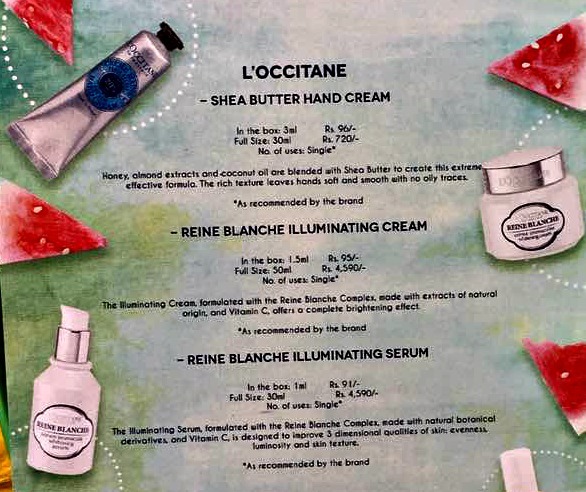 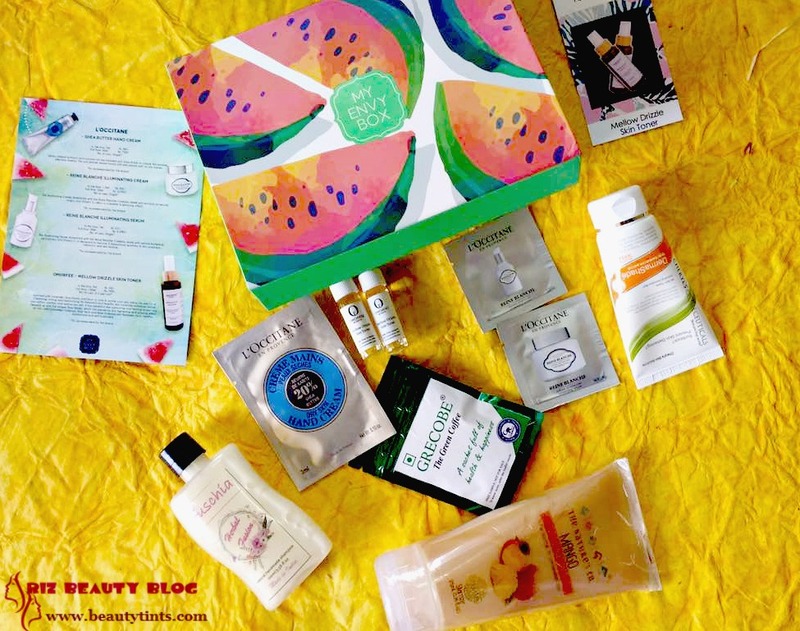 Final Conclusion About 'My Envy Box' June 2017 Edition Box: This Month's My Envy Box contains a good mix of products ranging from skin care to makeup products. Overall a good box !